Alan Parker’s magnificently terrifying film Midnight Express did about as much damage to the Turkish tourism industry as Patricia de Lille’s brain-dead managing of Cape Town’s water crisis has done in eradicating tourist-related income to the Western Cape summer past. In Parker’s film – based on a true-story – an American visitor to Turkey gets bust with some prime hashish at Istanbul airport. 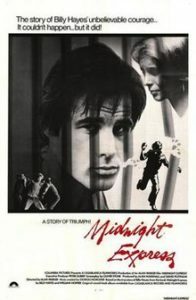 In prison, El Yankee receives some real rough treatment from sweaty, oafish and garlic-breathed Turks, the portrayal of whom did not endear the film’s creators to the national government who flew into hummus-spitting fits of rage at the image Midnight Express created of their Motherland in the eyes of Westerners. For years after the movie Turkey was seen as a pariah-state, tourists willing to rather endure a month-long visit to the knitting museum in Mill Hill, London than tackling the ancient cultures of Istanbul. As we know, Turkey is kind of real cool now. It is a thriving tourist destination and besides the odd guy blowing himself up in public spaces or the incidental coup driven by that despot dictator of theirs, it’s belly-dancing, kebabs and discreet hash-lighting all the way. Turkey really hit Cape Town in 1984 when restaurant Anatoli was opened by my one Bevan Christie. As a graphic artist, this Karoo boy was sent to man an advertising office in Istanbul and went Turk. 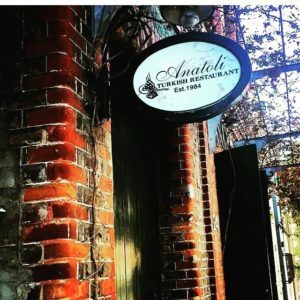 He headed back to Cape Town and opened this restaurant at a time when Cape Style was still the magazine to be seen in, night-clubs played music accompanied by actual people singing and a public spotting of Jani Allen lead to heart-palpitations. 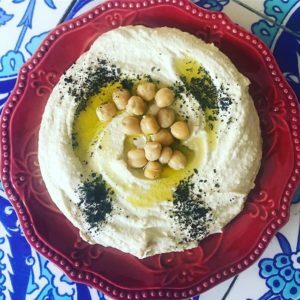 Anatoli has been under new ownership for some years now, but still throws open that authentic Turkish sweaty embrace of welcome when one enters the colourful, heavy-stoned interior. It is a smaller room than what Bevan left it, but the authentic fabrics still hang like running water-colours, some old pictures of frumpish Turkish rulers hide in the corners and the mezzes keep coming. And yes, Anatoli is all about the mezzes, those small plates of cool and warm goodies containing an array of delights. With small plate food currently being overdone in Cape Town, it’s always comforting to return to where it all started. 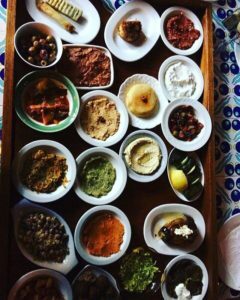 At Anatoli your waiter arrives with a tray the size of Sumo wrestler’s yoga mat on which lie a number of plated portions, irresistible in colour and aroma. He then takes you through the contents of the plates one-by-one, my mouth usually beginning to water by plate two. 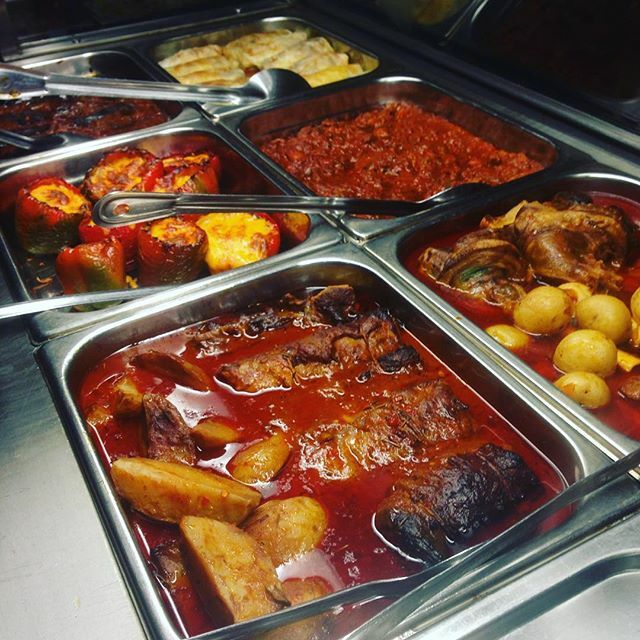 During a recent visit the selections we chose included cano (caramelised onions, fried baby marrow and carrots topped with garlic yoghurt and chilli); topig (mashed potato and chickpea with tahini and pine-nuts plus chilli); dolmasi (vine leaves stuffed with rice, pine nuts and blackcurrant); kuru kofte (lamb meatballs in walnut sauce); potato boregi (mashed potato, cheese and chilli wrapped in phyllo and deep fried); cerkes tavuku (chicken and walnut purée) and the ubiquitous hummus. Once the waiter has downloaded your selection, he appears with another Anatoli staple, namely that warm, just-baked white bread that looks like a botoxed baguette. Slicing through the crust, the bread sighs, emitting its warm, fragrant yeasty breath that even a life-long gluten-intolerant person would find arousing. I had two bottles of wine, perfect for this occasion: both Diemersdal Sauvignon Blancs, they were the 2018 releases of Sauvignon Reserve and the famous Eight Rows. The diversity of flavour in the food – ranging from palate-piercing chilli to intense garlic and heartily meaty – made these complex Sauvignons perfect. Plus, well-chilled they are lean, lemony and easy to drink as one washes the mezze down. The warm potato boregi was fantastic, flaky phyllo revealing salty warm cheddar cheese held in a sensually soft potato-casing. 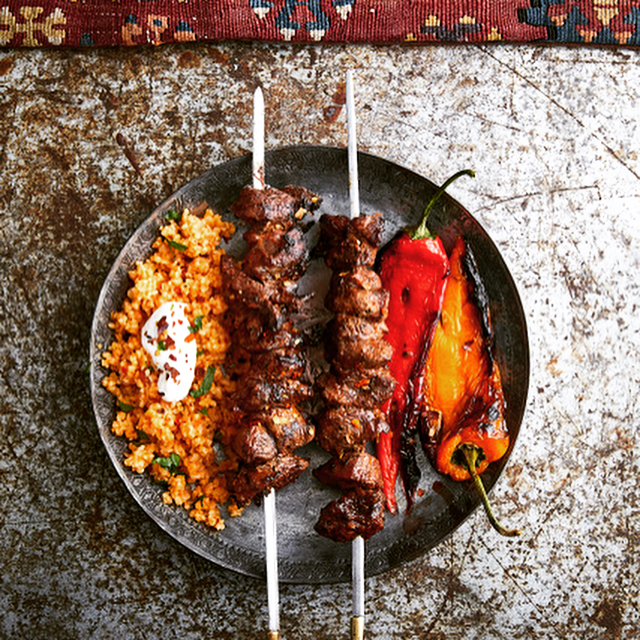 The kuru kofte were brilliant, the meat-balls firm to the bite leading to crumbs of endearingly satisfying lamb spiced cheerfully. 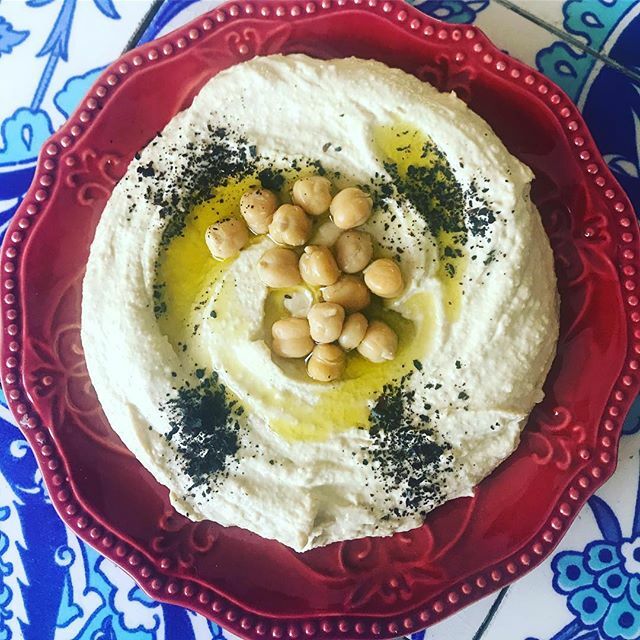 The hummus – one whole plate for me – was perfectly silky with just the right amounts of olive oil and garlic. Simply delicious on a chunk of that warm flat Turkish bread. Ordering the main course reminds me of my days as a child in Greece when the waiter would call “looky!-looky!”. This was the sign for the family to get up and follow Vassili or Moustafa or whomever to the kitchen-counter. Here the dishes on offer were displayed and described while the mommas in the kitchen bashed octopus or layered moussaka. Look, and pick. Anatoli works the same, and you line-up to see kebabs, monstrous lamb shanks in a shining red-brown sauce, stuffed aubergine and a simple lamb stew laced with blackcurrant and cooked for just about as long as a drug-dealer spends in a Turkish jail. The stew hit the spot, comfortingly familiar due to its meaty lamb origin, but interesting with all those tastes of spice and currants going around. The kebabs at our table – one lamb, one chicken – were described as “awesome, but filling”, although the cooking technique left a South African braaier nothing to fear. In-between the eating, one sips wine, checks out the other guests – because that’s what a lot of them come here for – and enjoy the atmosphere that has enough authenticity you can taste in the air. For dessert I could not resist the baklava, those golden-brown pastries filled with pistachio nuts and honey. Eat these alongside a real brewed Turkish coffee, and this is all worth going to prison for. Racism is more common in South Africa than Turkey.Most probably I might not understand being a white South African,and white ppl did to land owners and tribes in Africa.There is no such film about all those happened in history,but I guess the writer born into it and has in in own blood,which is so far a way from their grand parents motherland.There are lots of books,thousand of rewievs about Turkey,Turkish history and culture.Midnight express has nothing to do with it.And the food is nothing to do with midnight express. From which kebab-stand are you from, partner? This is a glowing review, food showing respect for a rich culture. Ge a life, or even better, a baklava. Jy skryf só geurig en kleurvol, Emile. Dankie.